LEAD Intern Mary Motch interviews our first LEAD speaker for 2019, McKenzie Coan. McKenzie is a 2-time Paralympian (2012, 2016) and 3-time Olympic gold medalist and is currently training for 2020. She recently broke the World Record in the mile at Nationals. LEAD Coaches Track is now open! Atlanta, GA. LEAD Sports Summit is thrilled to launch the inaugural LEAD Coaches Track, which will take place on Sunday, September 1 during the 2019 Summit. Club, high school, and college coaches are all invited to register for a full day of keynotes, seminars, collaborative activities, and team building exercises. These educational and interactive sessions will cover topics that include Confidence, Sports Psychology, Leadership, and Nutrition and will be led by LEAD speakers, expert mentors, and Team Leaders. One of the highlights of the LEAD Coaches Track will be an exclusive networking lunch and panel with special guest speakers on Finding Balance as a Coach. Atlanta, GA. LEAD Sports Summit is thrilled to open registration for our third annual event. This year’s Summit will take place over Labor Day Weekend (August 30-September 2, 2019) in Atlanta, GA. LEAD attendees will have the opportunity to listen to keynotes from Olympians and expert speakers, participate in new, in-depth breakout sessions alongside their mentors and peers, and engage in leadership exercises and team-building activities that will help shape them as leaders in and out of the pool. Atlanta, GA. LEAD Sports Summit is excited to announce the first annual LEAD Parent Track, which will take place on Sunday, September 1 during the 2019 Summit. This brand-new program will include a full day of keynotes for parents on Confidence and Nutrition, as well as breakout sessions on College Recruiting, Sports Psychology and more. These sessions will be led by our Olympian speakers and expert mentors with the help of our Team Leaders. 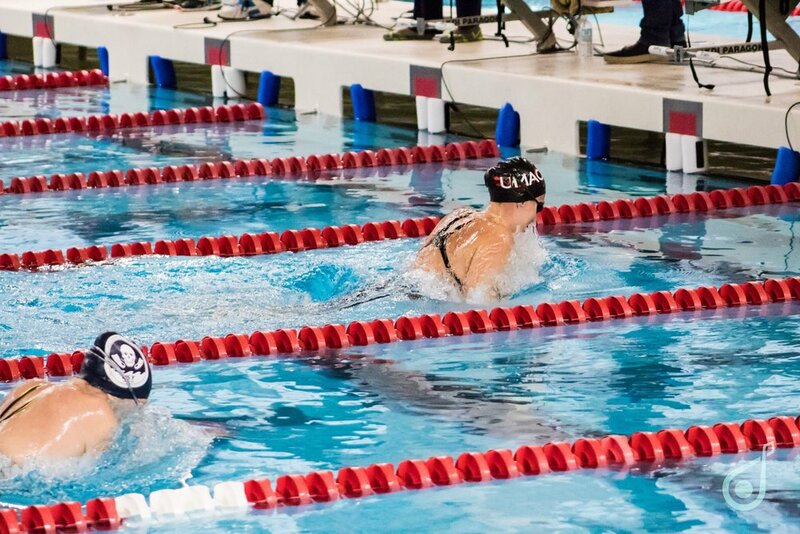 What is it like to swim in college? College recruiting can be stressful and confusing for high school student-athletes across America. As commitments start to come in earlier and earlier, we asked three current collegiate swimmers about their experiences. These swimmers represent a Power Five D-I school, a Mid-Major D-I school, and a D-III school. We asked them to not only reflect on their experiences, but also to give advice to the next generation of swimmers. LEAD Intern Mary Motch interviews Christen Shefchunas, Confidence Coach & Author of Naked Confidence. This dialogue was a conversation I overheard about me during my freshman year of high school when I had just moved from Miami, Florida to Louisville, Kentucky. Traversing the rough waters of a new swimmer is not an uncommon experience in this sport. The impact of a new person to a group’s dynamic can be challenging and is always followed by that five-letter word that we love to hate and hate to love: DRAMA. Keep showing up. It sounds like simple advice. But sometimes, showing up is only half the battle. At the 2017 LEAD Sports Summit, Confidence Coach Christen Shefchunas talked about the importance of giving ourselves credit. Some days, we show up to practice and see results. As the season progresses, we feel stronger, more confident, and increasingly ready to race. But then there are days (or seasons) where that just doesn’t happen. On those days, we need two reminders more than ever: 1. Keep showing up, and 2. Give yourself credit. I’m actually learning this lesson as a Masters swimmer of two years, well past the high-pressure days of club and college swimming. More than any other time in my life, showing up to Masters practice has been all on me - every week, I have to choose to drive an hour to the pool on days I go to work and get up early on Saturday to make it to the workout. There’s no pressure from a coach, or anyone else really, to be there. Anyone who knows me knows I’m a competitive person, so it was only a matter of time before I learned to love racing again as a Masters swimmer (about 3 months in, to be specific). It was fun to see what I could do swimming only 2-3 times each week, and I gave myself a blank slate of “new best times” to challenge myself in this new chapter of swimming. This past season, though, was different. I’d had health issues for three months. I’d gained (and then lost) ten pounds since the start of the season. I hadn’t lifted weights since December. I hadn’t been training fast. I hadn’t done enough aerobic work early in the season. I hadn’t done enough speed work late in the season. I stood behind the blocks for the 500 free and 200 IM with zero positive expectations - and then proceeded to swim times that were only 1 second per hundred off the times I swam last year when I felt far more physically, mentally, and emotionally in shape. I showed up the next day and swam within 4 seconds of my best Masters time in my favorite event, the 400 IM (yes, I know I’m crazy). None of my races were best times, but I was thrilled - and shocked - that I could be that close after such a rocky season of training. I had shown up to practice, even when I didn’t feel great. I had gone running at least once a week. I had made an effort to do ab work and short strength circuits at home. And I also had two years of consistently showing up to back up my swims. This will look different depending on where you are in your career. For me, “showing up” now means swimming 2-3 times per week and running and lifting on my own, which is considerably less than the 8-10 times per week I trained in high school and college. But no matter where you are in your swimming career - club, high school, college, or masters - we all have good days in training and tough ones. On the good days, we can give 100% and then some. We can push ourselves and our teammates past what we thought possible. It’s on the days (and seasons) when we feel challenged that it’s critical to give ourselves credit for what we are doing… even if that’s just showing up and diving in, knowing that showing up now will pay off later.